Are you looking for a professional, clean, friendly and very reliable Removal company in Sydney that has over 15 years helping Sydney residents with their home and office removals? Please call the removalists team at Quick & Easy Removals. Whatever your needs or requirements are in moving we can help. We are able to quickly, efficiently and all at really competitive pricing help you move office or home furniture anywhere in Sydney. Just see how prompt and quick we are from the moment you make contact with us. We can help you will all your home furniture and office furniture removals between any capital city in Australia. Whether you are moving between Sydney and Melbourne or Sydney to Brisbane we can transport all your household and office belongings with the type of care and respect you would expect from one of Sydney’s largest and most trusted removal companies. We are also experts and transporting your furniture to smaller country towns. Make sure you call us up for our interstate removal competitive rates. Our Business is built upon 10 core principles. 1 We try and make sure that we are on time and extremely punctual. We know how stressful a house or office relocation can be and for this reason when we say we are going to be at your residence at a certain time, we try and make sure we are there. We do NOT want to leave you hanging. And, if there is the unlikely reason we are going to be late, we will make sure we call you well in advance. 2 We treat your personal belongings as they were our own. Everything we move is handles with the Quick & Easy, industry renown tender loving care. 3 There are no hidden fees or surprises when it comes to our pricing. We are upfront and 100% transparent. If in the unlikely event there is an extra fee we will let you know before we do anything. We are committed to ensuring that you get real value for money. 4 Our staff are trained, professional and their focus is on great customer service. We like to think that we offer a world class furniture removalist service that goes above and beyond of what is required. 5 We have the latest in technologies related to the moving industry which means that your precious items get to where they are going with a minimum of fuss or hassle. 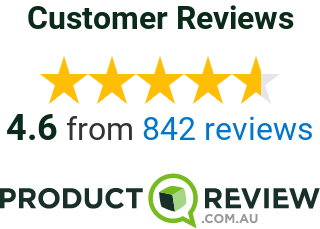 6 We are 100% focused on providing our customers with industries best service – well beyond what you would ever expect from a cheap removalist in Sydney. Our aim in to bring real value to your home/office relocation not just giving you the best price! 7 There are absolutely no: extra stair fees, fuel surcharges or no difficult access fees. As we have stated our pricing structure is fully transparent. 8 We are not in the furniture removal business to let you down or be unpunctual. We understand that this move is not done often so we want to be your reliable partner while this is happening. We are so experienced at this that no other company can come close to providing the level of service or satisfaction that we can. 9 We are here to help you with tips and planning for your removals. All you need to do is call us up and we are happy to offer you professional advice on packing techniques, best tapes to buy, so your goods do not get damaged in the move ( not that they will with our careful approach to moving). 10 No furniture removals job we undertake is too big or too small. If you are looking for the very best furniture removals company in Sydney for your move – no matter the size or location of the house/office we are the right choice. Call us on (02) 8880 5124 for an immediate free quote and you will see why we are Sydney’s # 1 top furniture removalists. We do not make this claim lightly and we are seriously prepared to stand by this statement. We know that this is an easy statement to make BUT we are really proud of our work and it shows. As our name say we are Quick & Easy!